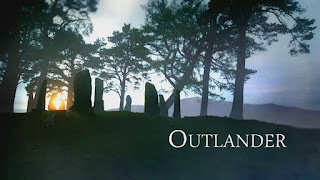 With the fandom having Twitter parties and tweeting support for the Outlander Team, last night was exciting and confusing. 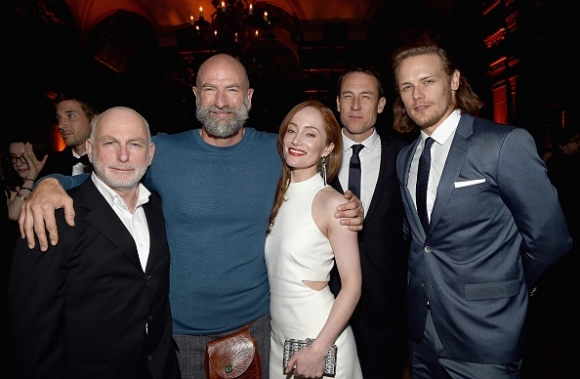 Everyone waited to see Sam Heughan and Caitriona Balfe on the red carpet, but after the show started, it soon became clear that our Outlander cast had not attended the Award show. 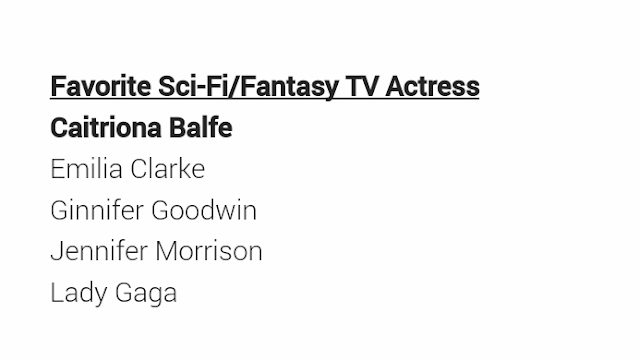 Caitriona Balfe tweeted, that work obligations made it impossible for her to attend. 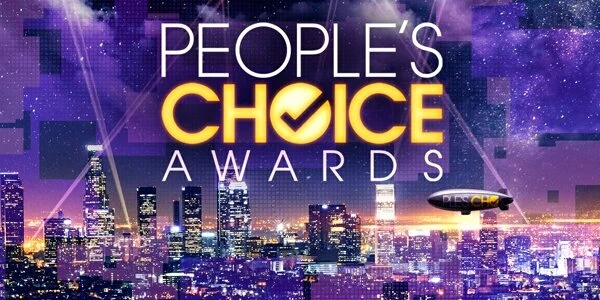 The biggest stars in entertainment stepped out for People’s Choice Awards 2016 on Wednesday night, and a number of them walked away with some shiny new hardware. Longtime network and cable stalwarts dominated the TV categories. 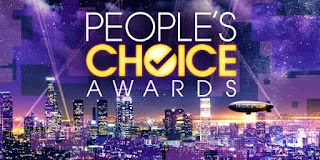 The Big Bang Theory received top honors for “Favorite TV Show.” The CBS sitcom also won “Favorite Network TV Comedy” for the fourth consecutive year, and star Jim Parsons walked away with “Favorite Comedic TV Actor.” On the dramatic front, Grey’s Anatomy bested fellow ShondaLand shows to win “Favorite Network TV Drama,” with leading lady Ellen Pompeo landing “Favorite Dramatic TV Actress.” In cable, Homeland andPretty Little Liars each received accolades from fans. The most-triumphant winner of the night however, was Ellen DeGeneres. The “Favorite Humanitarian” honoree walked away with “Favorite Daytime TV Host,” effectively breaking the all-time win record with an astounding 17 People’s Choice Awards to her name. 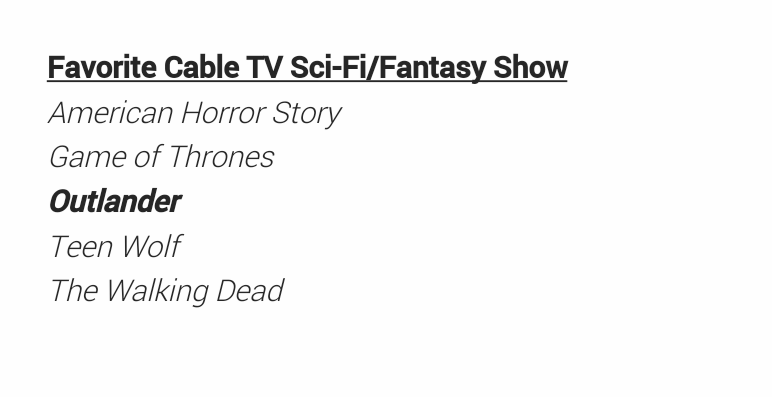 Our fan base did the voting, how could any other show have a chance coming against this fandom? They didn't. We Won... FAVORITE SCI-FI/FANTASY TV ACTRESS AND FAVORITE SCI-FI/FANTASY SHOW.